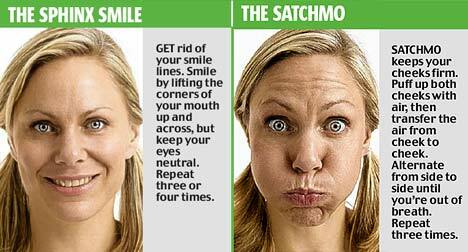 A facial yoga is the exercises of face based on yogic rules. It is believed that facial exercises can do a facelift that can tone and smooth the skin of the face. These face exercises are designed to tone up all the 57 muscles of the face and neck that can increase blood circulation and release tension (removing stress), restoring a radiant, youthful and glowing look. The most significant point about yoga facial is that it is very cheap and can restore your youthful look without any plastic surgery or injections. If you regularly and patiently do the facial yoga, then you can expect your face appearing brighter and younger, erasing fine lines and wrinkles. 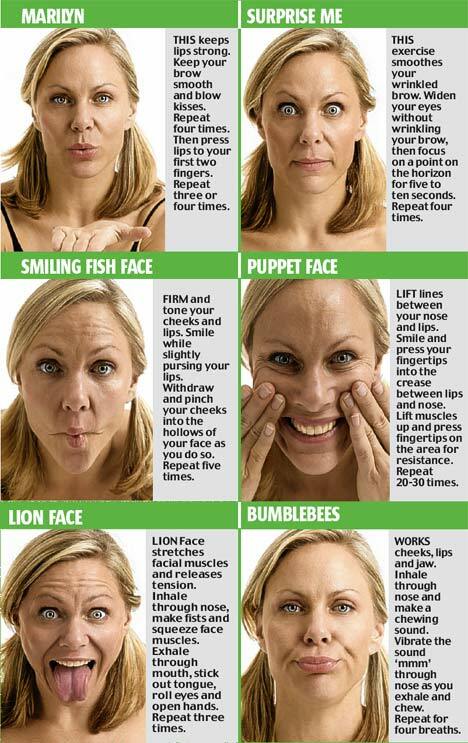 All you need is approximately 15 minutes daily to do all the facial exercises. The facial exercising will tighten your sagging skin. Place your three fingers under the eye, pull down, and try to close your eyes. Hold for 10 seconds and release. Repeat for 5 times. This exercise is for removing the puffiness below the eyes. Rub your hands together briskly and place the palms over your closed eyes. Take deep breath and relax for 5 minutes. You can do this exercise in your bed or chair, at home or in office. This yoga exercise relaxes the eyes and surrounding areas and soothe the optic nerve. This is very good for relieving tension headache.